How the Tampa Bay Lightning grew to become the Number One Franchise in North American sports. From below-average fan attendance, up to Number 1 Franchise in North America. The statement marks the conclusion of nearly every other mid-game commercial on Fox Sports Sun, and finds itself branded upon bulletin boards sprinkled throughout the Bay Area. It is mixed in with footage of ravaging hits, soundtracks of boisterous applause, and... the fans. In fact, the commercials rarely depict the players, preferring instead to depict the heartache, the excitement, the goosebumps involved in being a fan of the Tampa Bay Lightning. The subject of the commercial is not about the hockey team, rather the city that hosts the team itself. To truly appreciate how far the Lightning have come as a franchise over the past decade, one must first understand just how low the franchise had fallen in the former years. In the 2007-2008 season, the Lightning found themselves in the cellar of the Eastern Conference, dead last in points at the All-Star Break. They earned the first overall pick that year, and used it to bring in Steven Stamkos, who was eventually named the 10th captain of the team. The Lightning fired John Tortorella, the coach of their 2004 Stanley Cup winning team, but fared no better the following season under Barry Melrose, who was released after only 16 games. After finishing the 2008-2009 season with their lowest point total in eight years, the Lightening secured the second overall draft pick, and proceeded to acquire star defenseman Victor Hedman. The statement is the motto of a Tampa Bay Lightning fan-retention campaign, aimed towards amassing a following so - dare we say it? - thunderous that a southern, warm city would actually be able to host a sport that is dominated by cold weather northerners. Its arrival coincided that of a new era in the franchise, bookmarked by the Bolts being purchased by Jeffery Vanik in February of 2010. 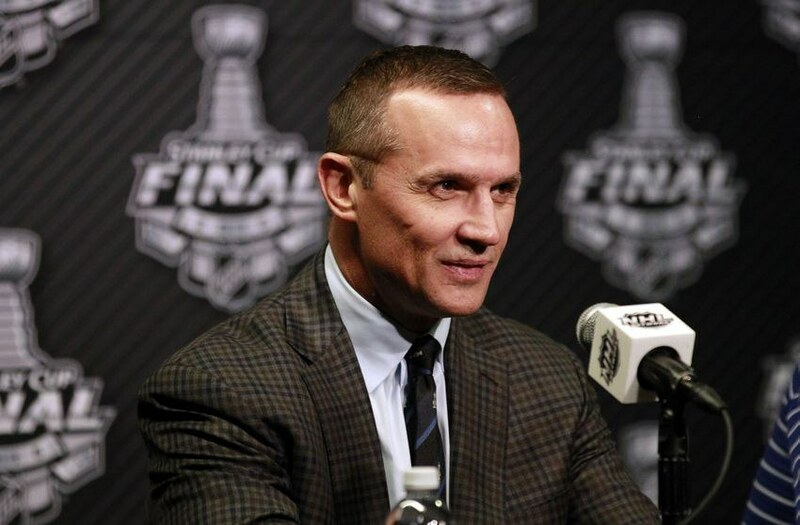 Vanik immediately got to work, appointing Hall of Fame player and former Detroit Red Wings vice president Steve Yzerman as the general manager, then hiring Guy Boucher to serve as the head coach. According to the ESPN NHL Attendance Report for 2010, the Lightning ranked 18th out of 30 teams in regards to their attendance. With less than 90% attendance, the Lightning set goals for themselves to increase fan attendance, television viewership, and most importantly, get the community connected to the team, despite what the record is in a given season. Two months into the 2010-2011 season, following the change of ownership and hiring of Steve Yzerman, the Bolts found themselves in a completely new position. They were atop the Eastern Conference, and managed to qualify for playoffs for the first time in four years. Making it all the way to the Eastern Conference Finals before losing to the eventual Stanley Cup winning Boston Bruins, the playoff push marked a window of opportunity for the franchise to reach into the community and strengthen its ties to the fans. Their mission statement included increasing the amount of season ticket holders and sell-out games, and as the Lightning were progressing through the post season, they provided their season ticket holders with over 10,000 free jerseys, each embedded with a microchip that discounted their purchases at Amalie Arena. The Lightning did not stop there. As they were utilizing methods to increase the overall fan experience, the franchise was also focusing on strategic marketing. 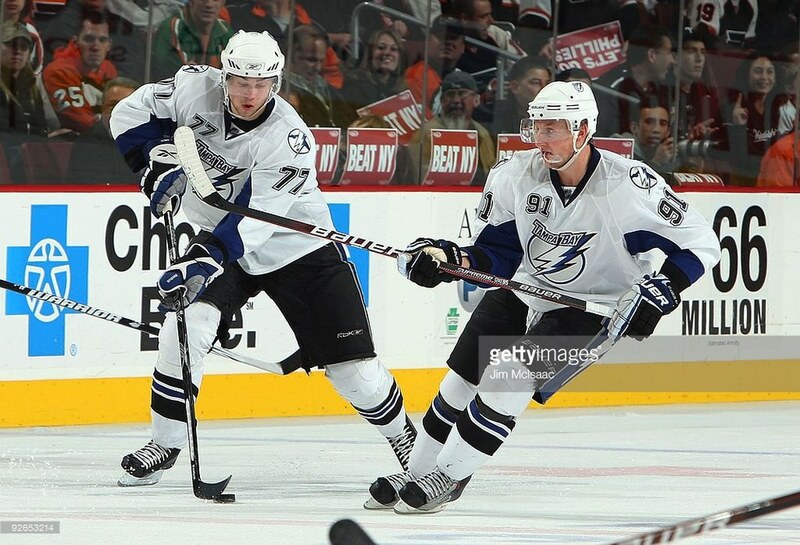 According to a case study by John R. Luecke, an Advertising and Public Relations professor at High Point University, the Tampa Bay Lightning turned to an Atlanta ad agency, 22squared, to help spearhead their mission and reach goals they had laid out for themselves prior to the 2011-2012 season. The franchise invested in digital billboards to advertise upcoming games and events in high traffic areas. They increased their presence on social media platforms such as Twitter and Facebook, growing them 103% and 26%, respectively. Despite the obvious spin-off of the team name, the three words represent something greater than just a pun. Similarly to Texas A&M University's "12th Man", it provided an identity for the fans, making them feel involved by setting a common goal that any individual could contribute towards: making noise. 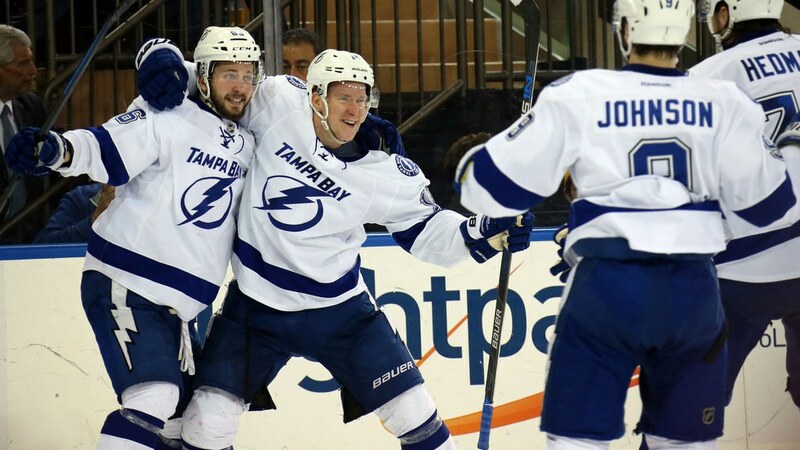 The Lightning wanted their fans to be loud and to be proud, and the fans did not disappoint. Despite the Tampa Bay Lightning failing to make the playoffs the next two seasons following the Eastern Conference Finals loss to the Bruins, their ranks in the ESPN NHL Attendance improved each year, all the way up to a high of 8th overall in 2013. After Guy Boucher was replaced by Jon Cooper, the Lightning again managed to see the post season in 2014. Their stay was brief, however, as they were met with a four-game sweep at the hands of the Montreal Canadiens in the first round. The Lightning built upon their successes of the previous year, making it all the way to the Stanley Cup Finals in 2015 before succumbing to the Chicago Blackhawks. Suddenly, there was a spark in the air, and the Tampa community was walking with a swagger in their step. Lightning decals covered cars, the logo emblazoned upon banners all up and down Bayshore Boulevard. At this point, the franchise was boasting a 96.4% attendance rate, and an increase in the average attendance by over 1,100 fans since Vanik acquired it according to Leucke. Social media exploded during the playoffs, with fans demanding that "Stanley get a tan." Following their runner-up year, the Bolts managed to return to the Eastern Conference Finals again in 2016, being bested by the Pittsburgh Penguins in a seven game series prior to the Pens' eventual Stanley Cup victory over San Jose. For the third straight year, the community felt a disappointment from the results of a post-season run, and it would have made sense for the support to demand changes be made. It would have made sense for the fans to want their team to build upon their previous shortcomings. It would have made sense for fans to vocalize their displeasure with the results, despite valiant effort by the players to stay afloat. However, the support did not halt. In October of 2016, the Tampa Bay Lightning was ranked the Number One Professional Sports Franchise by ESPN Ultimate Standings in a comparison of 122 north american franchises. Their commitment to the Tampa community and the individual fan experience were especially noted, given that the other Tampa sports franchises (Buccaneers, Rays) did not finish in the top half of the polling. The article's author, Peter Keating, explained that the results were "[derived from] fan surveys and financial analysis" in regards to how the fans are rewarded for their emotional and financial investments to the franchise. On January 8th, the Lightning dropped their fourth straight game in a rematch of the previous year's conference finals against the Penguins. In a year plagued with injuries and defensive miscues, the Bolts dropped to 19-19-4 on the season they find themselves within two losses of last place in the Eastern Conference, and the Tampa community is growing weary of the seemingly incurable ailments that have afflicted the team. The thunder has grown angry and impatient with the efforts being made on the ice. But angry thunder is still just as loud. Possibly even louder. Halfway through the season, the Bolts are on pace to have a 7th ranked attendance, their highest since 2006. The Lightning have succeeded in what they set out to do 10 years ago, and have cemented themselves so deeply within the Tampa community that even a sub-.500 record cannot stop the growth of supporters. Throughout the cold streaks of this season, Jon Cooper and his players have repeatedly mentioned overcoming adversity. It is no secret that the team needs to do so in the second half of this season in order to reach the playoffs for the fourth consecutive year, and further the cause of bringing the Stanley Cup south for a tan. So long as the franchise continues their efforts of growing the support for the team, and the existing fans continue to be thunderous, there is no plateau that can hold down the Bolts for the foreseeable future.